More Downloadable Stuff and Tutorials for KarmaFX Synth Modular! KarmaFX Synth Modular 1.03 and Plugin Pack 2.0b released ! 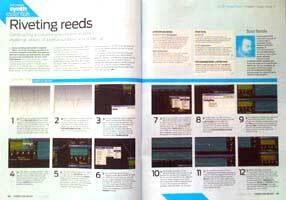 CM's resident "king of the oscillators", Scot Solida, uses KarmaFX Synth for recreating DX7 style bell sounds in the April issue of Computer Music. The KarmaFX Synth Limited-Time Introductory Offer has expired. For a limited time KarmaFX offered a full registered license of KarmaFX Synth Modular for only €68+VAT/$98. As of today the price is now set to the standard €76+VAT/$120. Price has been adjusted to take into account the decline in the US dollar. 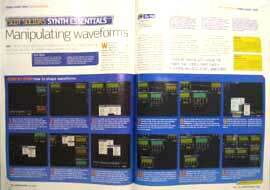 Synth wizard Scot Solida goes back to the source with a guide to spicing up those common-or-garden saws, squares and sines in the latest issue of Computer Music. As usual he uses KarmaFX Synth Modular to show off his nifty tricks. 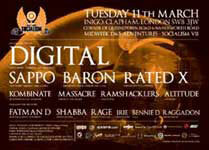 KarmaFX is happy to announce that we again are sponsoring 'Socialism' in London, 11th March. 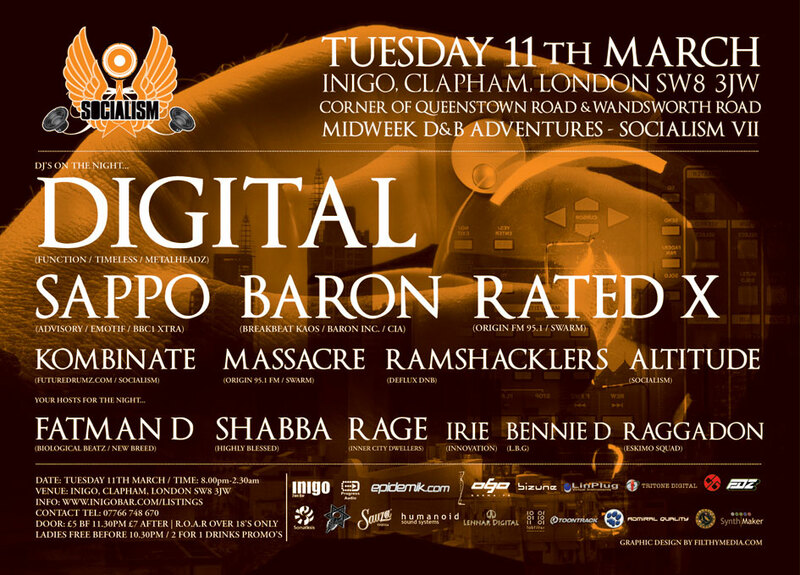 DIGITAL, SAPPO, BARON, RATED X, KOMBINATE, MASSACRE, RAMSHACKLERS, ALTITUDE, FATMAN D, SHABBA, RAGE, IRIE, BENNIE D, RAGGADON. Contains bugfixes and minor new features. A fresh install is unfortunatly required due to an online update bug in v1.00. Registered users have been notified by e-mail. KarmaFX Synth Modular 1.01 changelog. Bugfix: Online update version-check was unfortunatly flawed. Fixed, but fresh install is required! Bugfix: Online update could not update skin dll's due to access permissions. Fixed so they can be updated in future releases. Bugfix: Minimize/Maximize module could cause clicks in output since v1.00 RC4. Fixed. Bugfix: Imported waveforms in the Additive module were not always saved. Fixed. Bugfix: Changing module type would not always reset internal module state. Fixed. Bugfix: Uninstaller was not included in the registered version v1.00 due to a technical issue. Resolved. Manual has been updated. Did some minor changes and added bookmarks (Thanks Dom). Demo version now expires after the 30-day evaluation period. Patch saving in the Demo version is now disabled. Demo version 1.01 expires August, 2008. 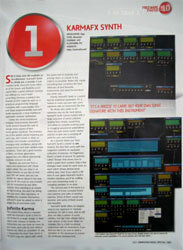 Scot Solida is back with an excellent two-page Synth Essentials column featuring KarmaFX Synth. 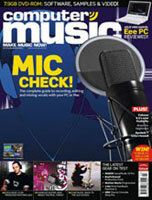 In this February issue of Computer Music Magazine, Scot uses KarmaFX Synth Modular for Vocal Synthesis! KarmaFX is happy to announce that we again are sponsoring 'Socialism' in London! This time January 15th. KarmaFX Synth Modular voted #1 in Computer Music Special ! 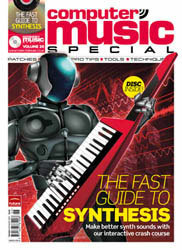 In the recent Computer Music Special: "The Fast Guide To Synthesis", CM have round up the most favoured commercial and free synths. For the last 3 years KarmaFX has provided the public beta version of KarmaFX Synth Modular VST synth and effect unit as donationware. Computer Music readers have shown their appreciation for the software and this fact by voting KarmaFX Synth Modular into 1st place on the top 10 chart of best "free" synths! KarmaFX would sincerely like to thank all those who voted! To show our appreciation and celebrate, KarmaFX has created a special CM patch bank which is on the magazines DVD. 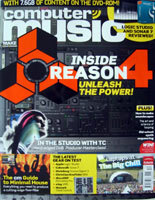 This issue also features an article on "Modular synthesis from the ground up" featuring a two page KarmaFX Synth tutorial. KarmaFX Synth Modular has since reached version 1.0, and its donationware days are now over. 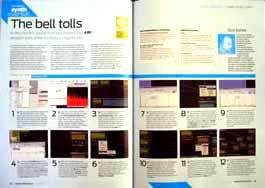 On November 1st 2007 it was converted to shareware, but a free demo version is still available for download. 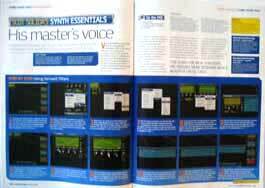 KarmaFX Synth Modular is once again featured in Scot Solida's excellent two-page Synth Essentials column in Computer Music Magazine. 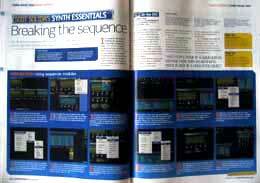 This time Scot shows a step by step guide on how to use the sequencer module for modulation! KarmaFX Synth Modular 1.0 FINAL released !!! After years of development, testing and tweaking, the final version 1.0 of KarmaFX Synth Modular is finally ready! The project started back in 1998, so it has been a long journey. Thanks go out to the people who supported KarmaFX with testing, feature suggestions, patches, comments and donations during these past years! With this release, KarmaFX Synth Modular is converted from Donationware to Shareware. This means that it is now available in two versions: A Full Registered version, that comes with extra patches, skins and a User's manual and A Demo version, free for trial use. It times-out and has limited save and update capabilities. By this change we hope to give our dedicated users better support and avoid confusion with Freeware, which many sites mistakenly report that KarmaFX Synth Modular is. The KarmaFX Plugin Pack is not affected by this change, and will continue to be Donationware. The Registered version of KarmaFX Synth Modular can be bought online here. People who have already donated $10 or more for any KarmaFX plugins are entitled to a free Registered version of KarmaFX Synth Modular and have been notified by e-mail. The release of version 1.0 marks a new chapter for KarmaFX Synth Modular, but does in no way mean that development will cease. So go ahead and join us on our continued journey into the realms of modular synthesis ! KarmaFX Synth Modular 1.0 final changlog. Made the Registered and the Demo version branches. Finished the User's manual for the Registered version and placed it in the "KarmaFX_Synth\Manual" subfolder. A shortcut is placed in the Windows Start menu on installation. GUI: Added a new slick looking "Blue" skin to the Registered version. Added an extra patch bank to the Registered version (Bonus Bank 1). Temporarily disabled uninstaller in the Registered version due to a technical issue. Reordered and created a bunch of new patches. The Demo version expires February, 2007. KarmaFX Synth Modular 1.0 [Release Candidate 6, 7, 8 and 9] released ! Bugfix: Possible memtrash bug fixed in Notepitch/Pattern module. Reordered and added a few new patches. Bugfix: Replacing a modulator module in poly mode could crash the synth. Fixed. 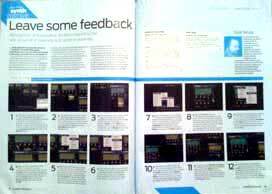 KarmaFX Synth Modular 1.0 [Release Candidate 7] changes (10/21/2007). Bugfix: Right clicking on Additive waveform selection menu could crash the Synth. Fixed (Thanks Ryan!). Bugfix: HFO module could startup in overflow state. Fixed (Thanks flos!). Bugfix: Sampler module's Freq knob had no effect without a controller signal. Fixed. Bugfix: Changing precalc quality in Pad module could crash the synth. Fixed. Bugfix: "Harmonics" text in the Additive and Pad displays was not shown properly. Fixed. Bugfix: Text in Samplers Velocity Editor was colored wrong due to sign error. Fixed. Bugfix: Stereo separation time display always showed 0ms in Delay module. Fixed. Bugfix: Step module's internal offset could go out of range. Fixed. Bugfix: Forward looping in Sampler could overflow with a loop size of 0. Fixed. Bugfix: Crop/Cut functionality in Sampler was broken for 24 and 32 bit samples. Fixed. Bugfix: Right click menu in Pad's magnitude editor did not work. Fixed. Removed all patches containing large samples to save space. These will be included in a separate bank later. Created a few extra patches. KarmaFX Synth Modular 1.0 Shareware Announcement ! With release candidate RC5 just around the corner, KarmaFX Synth Modular 1.00 Final is closer than ever. It is time to announce that with this release KarmaFX Synth Modular will be converted from Donationware to Shareware. This means that the Synth will be available in two versions: A DEMO version that is free for trial use, and a FULL Registered version that costs money (price to be announced later). It is therefore no longer possible to donate money in order to sign up for the full registered version. Donations are still welcome. The KarmaFX Plugin Pack is not affected by this change, and will continue to be Donationware. People who have already donated $10 or more for any KarmaFX plugins are entitled to a free registered version of Synth Modular and will be notified by e-mail. KarmaFX Synth Modular 1.0 [Release Candidate 4] released ! KarmaFX Synth Modular 1.0 [Release Candidate 4] changes. Bugfix: Polyphonic mode will now revert held keys when too many keys are pressed and then released.